Vladimir Putin in Finland. Russian-Finnish talks. Putin.BLOG Finland Foreign Policy Vladimir Putin in Finland. 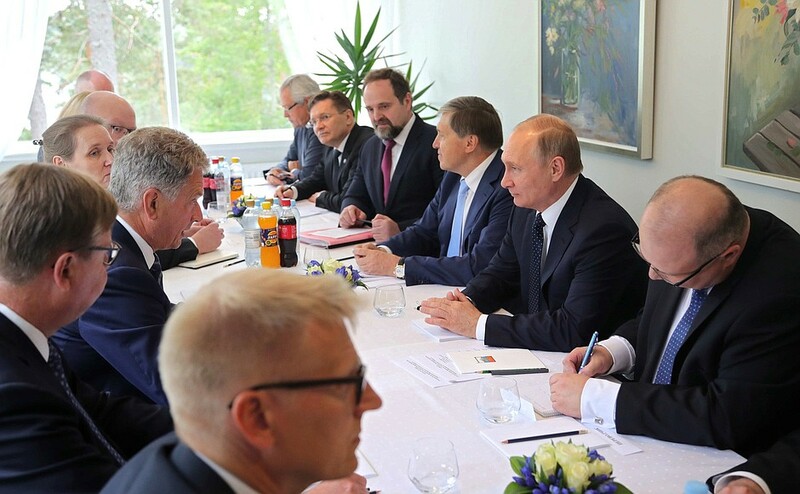 Russian-Finnish talks. Vladimir Putin with President of Finland Sauli Niinisto. Mr. President, members of the Russian delegation. I am honored to welcome you to this landmark place, Punkaharju. We very much value your decision to come here for the centenary of Finland’s independence. This is a great honor for our country. 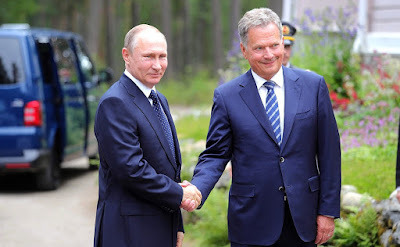 Vladimir Putin arrived in Finland. I would like to thank you, Mr. President, for inviting me and my colleagues here. 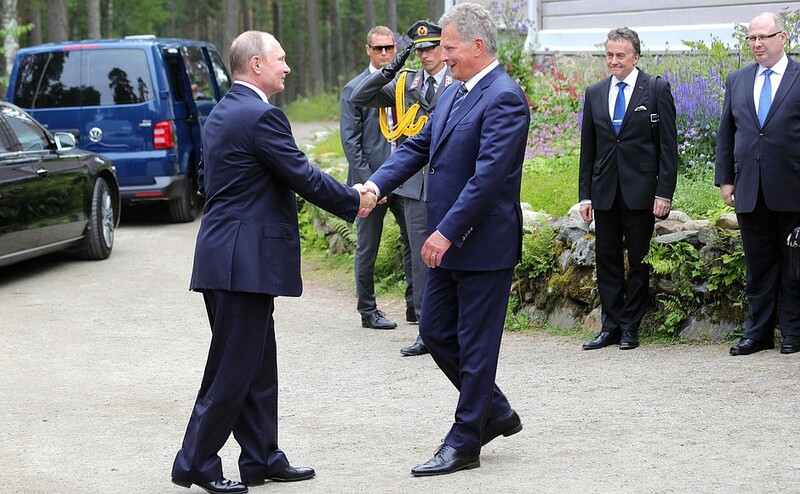 Talks with President of Finland Sauli Niinisto. Vladimir Putin at the Russian-Finnish talks in Finland. 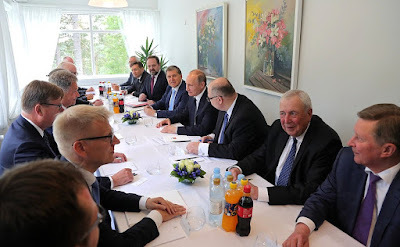 0 Comment to "Vladimir Putin in Finland. Russian-Finnish talks."